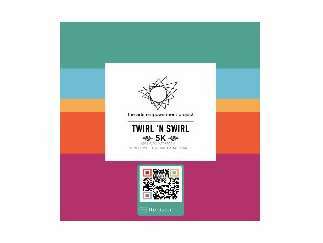 Saturday, April 6, 2019 will be a day to remember when The Arts Empowerment Project, in conjunction with Charlotte Country Day School, hosts its 3rd Annual Twirl N Swirl 5K race at 8:30 AM at the Carmel Village at 7520 Pineville-Matthews Road in South Charlotte. The Arts Empowerment Project, a 501c3 nonprofit, provides funding to support youth who are at-risk for violence and abuse by using the arts as a vehicle to inspire, heal and increase access to new opportunities. Their 5K Race unites the community in honor of Child Abuse Prevention Month and raises awareness and funds for the Judge Bill Jones Memorial Scholarship supporting at-risk children and teens interested in pursuing private study, special training, and personal advancement in an arts-related field. Participants are encouraged to register in advance online: $25 for adults and $10 for children before April 4, 2019. Same-day registration is available on site beginning at 7:00 AM, but increased rates will apply. Winners in each age group will be recognized as part of an awards ceremony at the end of the race, along with top fundraising teams.